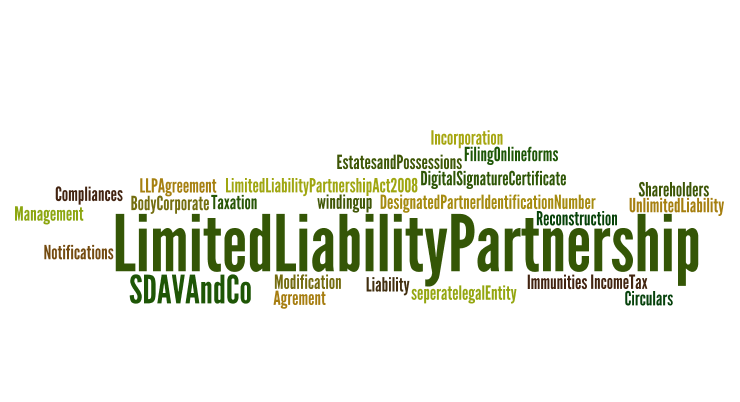 July 13, 2018: Limited Liability Partnership (LLP) is an alternative form of business introduced in Pakistan by SECP through Limited Liability Partnership Act 2017 and augmented by Limited Liability Partnership Regulations 2018 Traditionally, there have been three widely used corporate structures for incorporating a company in Pakistan which include a general form of partnership, sole proprietorship and a limited liability company. But the need has always been present to bring about another form of corporate structure, known as the limited liability partnership (LLP). This has been available in a host of countries around the world and merges the flexibility of a general partnership with the advantages of a limited liability company. The gap has been filled with the passage of the Limited Liability Partnership Bill 2017 by the Senate last week. The Securities and Exchange Commission (SECP) has been busy in updating some of the obsolete legalisation pertaining to company regulation such as the Companies Ordinance 1984 and the LLP Act 2017 is also reflective of the regulator’s desire to provide a conducive atmosphere for the corporatisation of the economy. The general form of partnership has an obvious flaw which does not make it the medium of choice for small and medium enterprises as well as services based industries. It assumes unlimited liability for the partners involved because the firm is not deemed to be a body corporate. In contrast, the LLP affords protection for the partners from the joint liability created by another partner which includes misconduct and fraudulent activities but also adverse business decisions taken on a unilateral basis. Moreover, the LLP also manages to retain the flexibility of a general partnership which makes it ideal for firms operating in the services sector. It has been the business vehicle of choice for chartered accountants and lawyers around the globe. The LLP will be treated a partnership firm for income tax purposes and the profit will be taxed in the hands of the LLP rather than the partners. In addition, the LLP is also useful for encouraging start-ups such as investment firms and financial service providers. The main reason is that the compliance costs are drastically reduced for an LLP due to the less onerous legal as compared to procedural requirements for companies registered under the Companies Act, 2017 (previously the Companies Ordinance 1984). Â There is also potential for gaining better access to credit financing from financial institutions. Given the recent mushrooming of start-ups and the global race to provide a fostering environment to entrepreneurs , the LLP will enable local professionals to also benefit from a more flexible and efficient corporate structure making them more competitive and dynamic. Further, the Securities and Exchange Commission of Pakistan (SECP) has also notified Limited Liability Partnership (LLP) Regulations under the Limited Liability Partnership Act 2017. Limited liability partnership is an alternative form of business establishment that has the flexibility of a general partnership as well as advantages of a limited liability company. It is an alternative to the concept of partnership and company structure to enable professionals, entrepreneurs and small and medium enterprises to jointly organise and operate their businesses in an efficient manner. The regulations specify the form and manner of registration of the partnership, proprietary of partners, accounts and audit requirements and conversion of existing firms and private companies into a limited liability partnership. Small companies need an adaptable structure that will fulfill the necessities of small and medium ventures and particularly the service sector. The service sector plays a major role in the growth of national economy. An increased diversity can be seen in the existing variety of services offered by SECP. 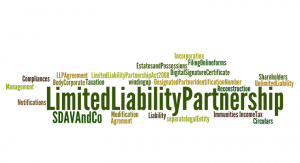 The main advantage of the Limited Liability Partnership for business is that it will not require complex legal and procedural requirements suitable for large and widely held companies. The scope of entrepreneurship is increasing with a rapid pace in Pakistan. Here majority of the young talents are looking forward to establish their own startup companies. This kind of bill may yet stand out to be a vital resource for the entrepreneurs of the country. The Limited Liability Partnership (LLP) is the mode of establishing small scale partnerships under a new form of business structure. The new structure will remove the difference between two types of firms: sole proprietorships/partnerships – the liability of whose partners is unlimited, and the firms whose sponsors enjoy the benefits of limited liability. The two primary considerations for introducing LLPs are the ‘Risk Factor Advantage’ associated with such enterprises and the ‘Enhanced Global Competitive Advantage’- an LLP vehicle offered to Pakistani professionals. Under the LLP law, two or more persons can establish a ‘lawful business’ which will have the acronym ‘LLP’ as the last words of its name. It further provides elaborate contributions to be decided mutually by the partners that may consist of money, negotiable instruments, properties (including valuable rights), intangibles, knowledge and skills, etc. The detailed requirements for financial disclosures include maintenance of accounts, other records and audit, inspection of documents kept by the Registrar, penalty for false statement, filing and registration of documents. The law also allows the compromise, arrangement or reconstruction and winding up of the LLP. Such business registration models have already been adapted by most of the developed, and counterpart, jurisdictions. Any foreign LLP will also be allowed to operate in the country. In Pakistan, this need has long been recognised for small and medium businesses, which require a flexible regulatory framework for a LLP with less stringent requirements. As SMEs play a pivotal role in the services sector, they would be the main beneficiary. The LLP would not impose detailed legal and procedural requirements, as is the case with large scale corporate structures. Any change in the partners of an LLP firm shall not affect the existence, rights or liabilities of the LLP. Besides, the rights of a partner to a share of the profits are transferrable either wholly or in part. The transfer of any such rights will not cause the dissolution of the LLP. LLPs will be taxed as a partnership, but will have the benefit of being a corporate, or more significantly, a separate juristic entity having perpetual succession but distinct from its partners. The law also allows conversion of firms, including private companies, into LLPs. The LLP law has been developed by the SECP in collaboration with the United States Agency for International Development, after a series of consultative and advocacy sessions. While, briefing the finance ministry about the importance of LLP, the SECP Chairman had said that the growth of Pakistan’s economy was contingent upon the role played by its entrepreneurs, along with technical and professional manpower. The introduction of LLP will also be a step towards documentation of the economy and will help convert the informal, unregistered, and unregulated sector into a formal and regulated regime. Synergy Business Consulting fully endorse the new happening and is ready to assist its valuable clients in forming LLPs in Pakistan.